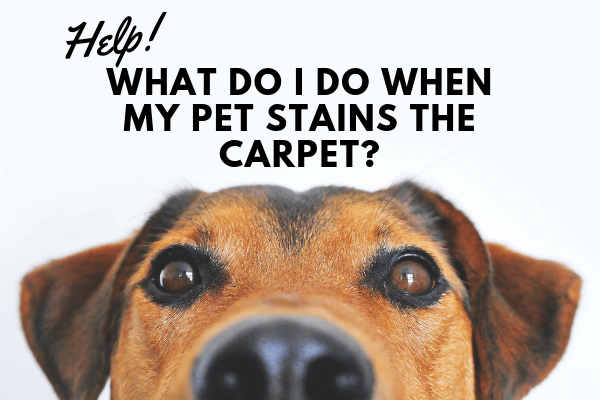 When your pet leaves a nasty stain (and it’s accompanying odor) on your carpet, you may not know what to do. But don’t worry—there are some easy steps to remember that can help keep your carpet free from stains, odor, and bacteria. If you act fast, you should be able to remove the majority of surface pet stains. Blot or scoop up the stain as fast as you can, then absorb any remaining moisture with a towel. As you do so, make sure you blot gently. Rubbing too hard can smash the stain further into your carpet—making it even more difficult to get remove. Follow up with a stain bought stain remover you made yourself or purchased at the store. Just make sure the solution you use doesn’t contain harsh chemicals and is safe for pets. Any soapy residue left behind can attract even more stains in the future, so be sure to rinse the area, towel dry, then vacuum to remove as much residue and moisture as possible. While the suggestions above can help with intermittent maintenance, this will only remove surface stains. To get rid of harmful bacteria, lingering stains, and odors completely, a professional Pet Urine Removal Treatment is needed at least once each year. Chem-Dry can remove potent, odor-filled crystals from your carpet and the padding underneath—meaning odors will be gone for good. We also remove 99.9% of pet urine odors and 99.2% of bacteria from pet urine in carpets. Ready to enjoy a cleaner, healthier, better smelling home? Take $10 off Pet Urine And Odor Removal from Elite Green Team Chem-Dry throughout the Galveston, Texas area!